If nothing else, Dementia 13 is -- at least -- a powerful reminder that everybody has to start somewhere. 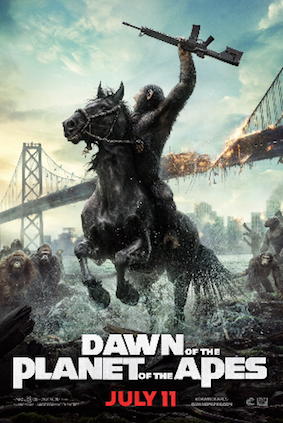 All snark aside, this super low-budget horror film (approx. $22,000) is Francis Ford Coppola's directorial debut; one made under the auspices and purse-strings of Roger Corman and filmed utilizing the cast (Luana Anders, Patrick Magee and William Campbell) and locations (primarily an Irish castle and grounds) of Corman's The Young Racers. 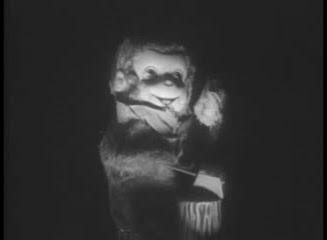 Coppola's assignment was to create cheap horror in the psychological, violent mode of Hitchcock's runaway hit, Psycho (1960), and in that task, he succeeded rather admirably. For this is a black-and-white thriller filled with surprising axe murders, and which features the notorious "Janet Leigh Trick" (killing off a star in the film's first act). And, of cou rse, underlying all the events is a "demented" killer boasting a surprise identity (one revealed just in time for the climax). Dementia 13 depicts the unusual tale of the Haloran family, a moody Irish clan who - even after seven long years - reunite annually to celebrate the anniversary of a family drowning. You see, the three brothers (Richard, John and Billy) and the sick Mama all miss darling little Kathleen, the only sister among the boys...but she died under mysterious circumstances in the pond and now every year, the matriarch works herself to the point of "hysteria" at Kathleen's graveside. This year is different, however. This year, brother John -- who suffers from a bad heart -- has brought along to the family gathering his wife: the delightfully scheming Louise (Luana Anders), a gorgeous if icy blond. She doesn't understand all the hand-wringing over Kathleen, and she certainly doesn't understand why Ms. Haloran wants to give away all the money in her estate to a charity in Kathleen's name. Louise and John could certainly use that money, for one thing, at least according to avaricious Louise. In the film's compelling first scene (filmed almost entirely from a variety of doom-laden high angles), Louise and John go out by impenetrable night on a row boat ride, and Louise lays into John about his strange family, and how he should go about acquiring the money from their estate. To drown out his hectoring wife, John turns up a portable radio, and some weird 1960s rock/jazz music plays beneath the scene, jangling audience nerves. The combination of the heated argument and the bizarre music generate a weird tension here, and even though the film has only just begun, you'll feel yourself on edge. 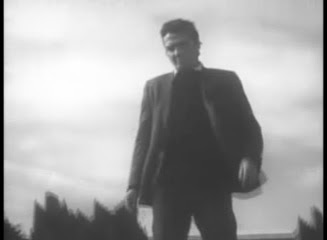 Before the film is done, this shadowy axe murderer has decapitated a local poacher (a gloriously gory head-rolling moment) and rather viscerally threatened Mrs. Haloran in an old work shed.. The family doctor, Caleb (Magee) -- here the Martin Balsam/Arbogast figure -- suspects that moody Richard (Campbell) is the culprit; that he may be insane. 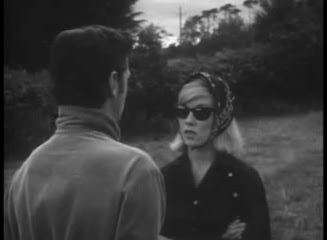 Caleb tries to warns Richard's hopelessly naive American fiancee, Kane (Mary Mitchel) -- a girl "raised on promises" -- that they should not be married on the family grounds. After all, Kathleen died during a wedding ceremony...and no wedding has been held in the castle since. 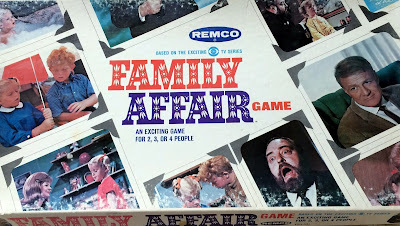 All the family secrets are revealed in the third act, and if the killer's identity doesn't come as a total surprise well, you certainly can't blame Coppola for putting up a good effort with precious few resources and scant little time (the screenplay was reportedly written in a matter of days). Although the sla vish borrowing from Psycho grows difficult to ignore even over the sparse running time (75 minutes), Coppola nonetheless manages some inventive touches that hint of his authentic talent; not the least of which is how his moody camera/location work suggests earthly murders and unearthly hauntings simultaneously. I also appreciate how Coppola happily spreads the dysfunction around the Haloran family. "A nightmare has disturbed this family for six years," notes Dr. Caleb, and he's absolutely right: Mom is hysterical and likely in denial; Richard is belligerent and emotionally closed-off, and Billy is so haunted he's just never grown up. One event -- the death of a child -- has impacted all of them horribly, and any of them (or all of them...) could legitimately be around the bend. 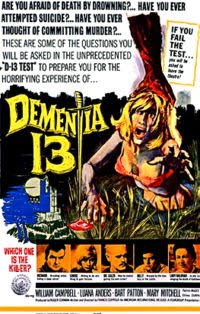 Set in and about a gloomy Irish castle ("The kind of place you expect a ghost to wander around in," says one character), and with more than a touch of the film noir (especially in Louise's hard boiled voice overs early in the film), Dementia 13 fully displays seeds of Coppola's greatness, even if they had yet to flower fully.